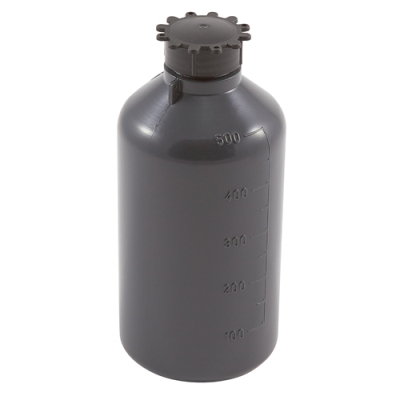 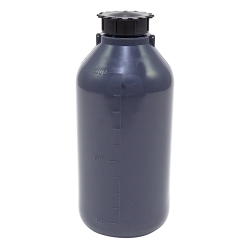 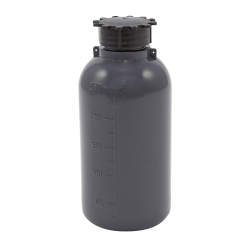 500mL LDPE Graduated Narrow Mouth Gray Bottle with Cap | U.S. Plastic Corp. 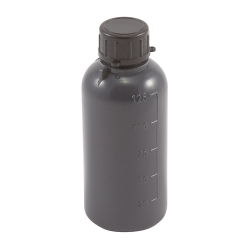 These opaque leakproof bottles are excellent for storing photosensitive materials, either liquid or solid. 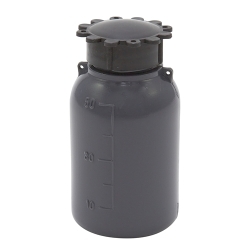 Dimensions: 74mm OD x 165mm Hgt.